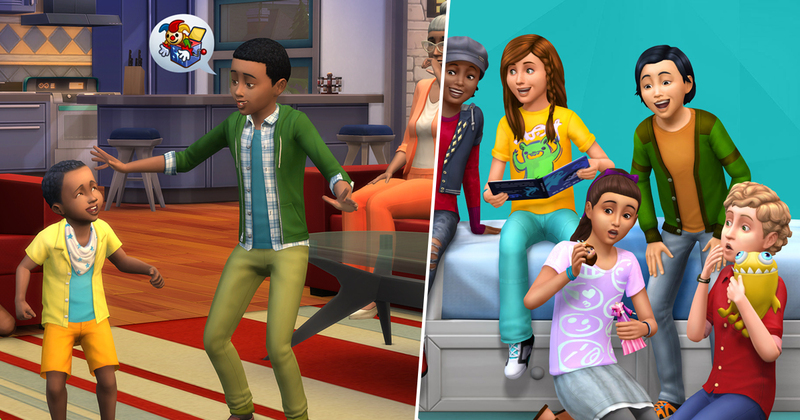 Have you ever wondered how many kids you need to have in The Sims 4 before the game finally gives up the ghost and crashes on you? I know I haven’t, but on the off chance you have, one plucky Redditor has done the homework for you. As it turns out, 176 is the number of nippers you can pop out in the popular life-sim before everything goes wrong. I have to say, it’d take considerably less kids than that to upend my real life. Probably about 175 less. TeaFlex took to Reddit to boast of his Sim creation, Raphael Cake, who has fathered an incredible 176 children. It’s unclear whether this was all with the same woman, but I hope not. I’m genuinely not sure anyone could survive giving birth 176 times, virtual world or not. Amazingly, the roguishly virile Raphael Cake had plans on making more kiddywinks for his happy home, but TeaFlex had to put an end to that since the game will no longer load his household. This is especially odd, given TeaFlex claims none of his small army of kids actually live with Raphael Cake, which in itself is a bit dodgy. Cake must have to pay a fortune in child benefit. In all seriousness, TeaFlex did reveal that last time he counted, the total amount he has to pay to take care of his kids came to an eye-watering $188,000 per week. I’m not sure how you pay that without hitting the cheats, to be honest. While 176 kids is more than likely a good time to stop if you actually want to run The Sims 4, another user on Reddit claims they managed to churn out 219 kids, only stopping because their Sim died. It’s unclear why TeaFlex’s game stopped playing ball after 176 kids, then. While it’s probably not entirely to do with the amount of children sired, it can’t have helped.